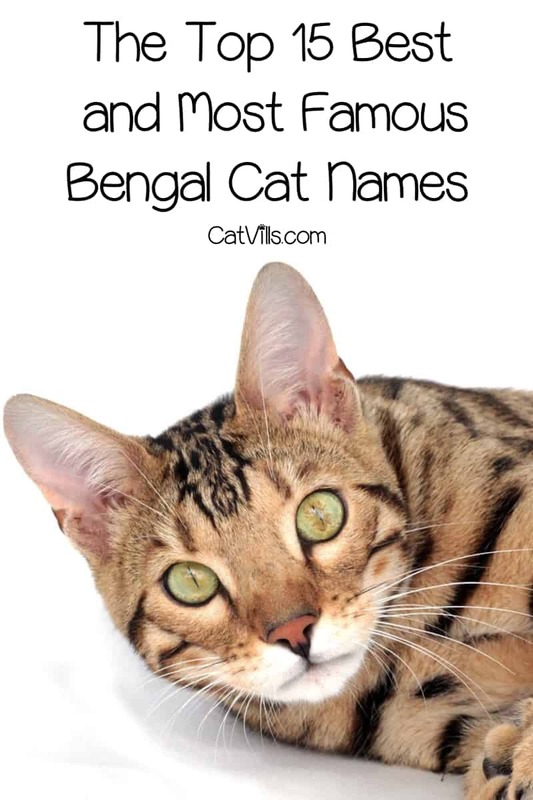 If you’re looking for the best and famous Bengal cat names, you’ll love our top 15 picks! Choosing a name for your new kitten is always fun, especially when it comes to choosing a unique and adorable name that suits them perfectly. Some people like to choose names that correspond with the color of their fur and others like to choose a name that goes well with their breed. Bengal cats look like they should belong in a jungle with their coloring and appearance, originally created by crossbreeding domestic cats with an Asian leopard cat. They are easily recognized by their coats, which can come in a wide variety of colors and patterns. Here are the best names that I think you should call your Bengal kitten. Bengal cats have dark markings on their body, which you could choose to focus on and call your cat Shadow. It is definitely a name that conjures up a lot of mystery as well. Sometimes, certain Bengal cats will have a number of colors and markings on their fur that reminds people of marble. Calling your cat this name will make them stand out from the other cats. Tawny is a color that is often defined as being an orange-brown or slightly yellowish brown color, which definitely reminds me of a Bengal cat with their unique fur. Why not play on the markings of your cat and choose the name Speckles. It is such a cute and unique name that will suit any kitten with a fun personality. Sable is another word that is used for dark brown or black colors, which makes me think of the spots on the Bengal cats fur. What I love the most about this name is how exotic it sounds. As Bengal cats are technically the descendants of the Asian Leopard cat, it only makes sense to pay homage to that and call your little kitten Leo. This could also work if you identify with the zodiac sign of the same name. There is one thing that nearly all cats have in common regardless of their size and that is how they like to hunt for their prey. Hunter is a cool name that relates to this and would work well with a Bengal cat. Throughout the country of India, there are large wild cats that roam the land which looks similar to that of the Bengal cat. India can also be used as a name and it would work perfectly for this breed. Bengal cats originate from South and East Asia, so why not choose a name that is also from there? A classic Asian name is Ming and is likely to suit any Bengal cat, no matter their personality. Shere Khan is a Bengal tiger in The Jungle Book, who is smart and sophisticated, even if he doesn’t like humans. If you find yourself fond of the story, why not take his second name for your Bengal kitten? Another famous and beloved cat from popular culture is Simba from The Lion King. Everyone loves the dancing and singing lion, and it is the perfect name for a spirited little kitten. The great thing about the name Tiger Lily is that you can use it together or choose one of the words as a name for your cat. I love how feminine and delicate the name is, which is what I think of when I see a Bengal cat. If you want a name that is a little different, then why not choose the name Pepper. It is a fun name that relates to the dark markings that often remind people of pepper. Some Bengal cats have vivid colors on their coats that remind people of the sunset, as well as copper. This is an adorable name and you are pretty much guaranteed that no one else will have it. For the final name on this list, I decided to go with Amber, which is between two colors, gold and orange. This is very similar to the coat of the Bengal cat and will be a great choice for a female kitten. Bengal cats seem sweet and delicate, looking like miniature leopards as they walk around your house. You want to choose a name as unique as their colouring and all the ones on this list are a perfect fit. If you had to pick just one of these top Bengal cat names from this list, which one would it be? I think I would have to name my bengal cat Simba if I had one cause I’ve always been a Lion King fan! OMG I love the name Speckles! I think cutesy names like that are perfect for pets. Although I am fond of Amber . . . so fitting for the coloring of these cats. 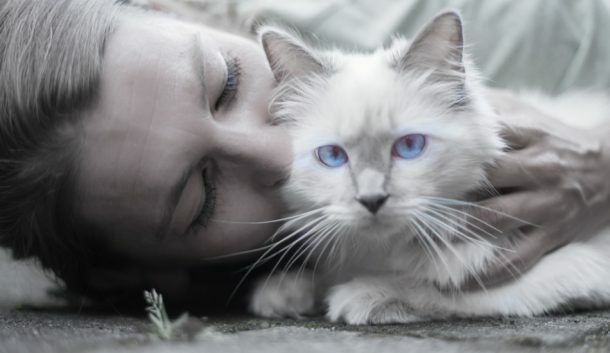 I love cats and I have two, not Bengal but still beautiful and precious to me. Love the names on your list ! These are all great names. I once took in a Bengal cat. I did not realize she was pregnant, they never told me and since she was hiding when I came to get her, I didn’t really socialize with her until I got her home. She took to me instantly, not shy at all at my house. Then she had SIX kittens. She died after giving birth, it was SO SO SAD but I raised those six kittens with the guidance of my vet, we ended up with 3 Bengal kitties and my names were not as unique as these ones. This one is unique article. I don’t have any cat yet but this is such informative post and also for the cat lovers. Oh what a fab list of name ideas! I really love all of those names, I think Hunter is may favourite! I love all these cat names. We have a Siberian cat named Oscar and we love him so much!